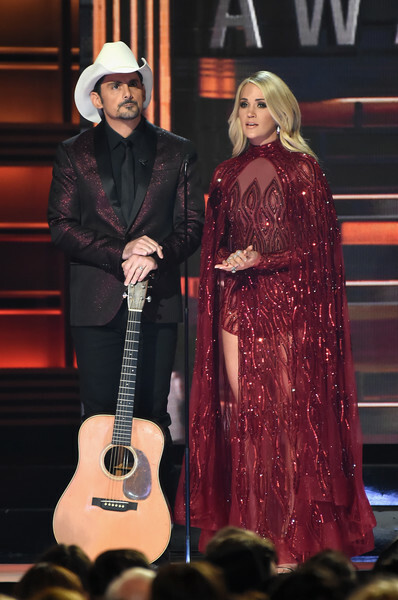 Tonight, second-time mom-to-be Carrie Underwood co-hosts the Country Music Awards with Brad Paisley at the Bridgestone Arena in Nashville, Tenn. The American Idol alum has not let anything like being pregnant and incubating a whole new human stop her from performing the honors for the 11th time in a row. Personally, I’m excited to see how she will be serving her baby bump as only Carrie can. That same night, she went short and glittery again while performing on stage. Earlier that month, we spotted her super early in her pregnancy looking fab at the iHeartRadio Music Festival at T-Mobile Arena on September 22, 2018 in Las Vegas, Nevada. So we know to expect some ultimate swerve from this hard-working mama! 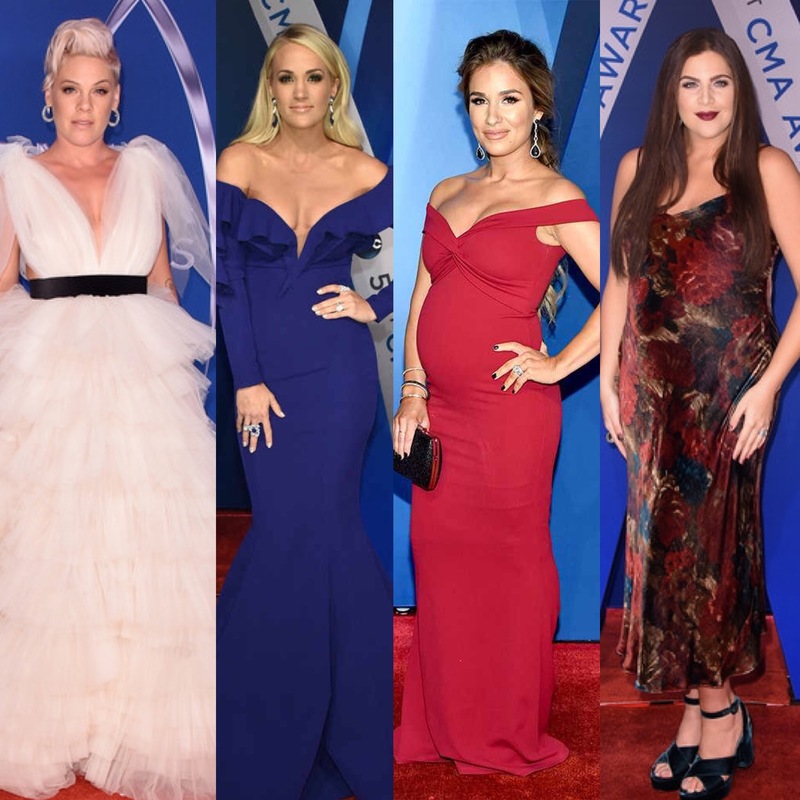 The 51st annual Country Music Awards went down last night at the on November 8 at the Bridgestone Arena in Nashville, Tennessee. Carrie Underwood co-hosted the event for the 10th consecutive year along with Brad Paisley. P!nk attended with daughter Willow Hart and she also performed a heartfelt rendition of her song “Barbies” on stage. 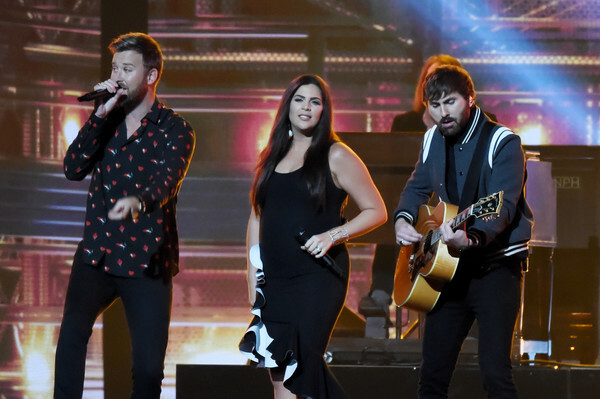 Future mom-of-twins Hillary Scott and her Lady Antebellum band mates Charles Kelley and Dave Haywood performed with Darius Rucker and Keith Urban onstage. She wasn’t the only pregnant star in attendance. Second-time mom-to-be country singer Jessie James Decker glowed on the red carpet as well.